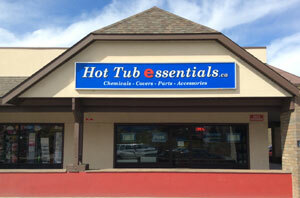 Welcome to Hot Tub Essentials Canada! Serving Canada and far beyond, with quality hot tub products and supplies (since year 2000). *Additional charges for NWT, Yukon & Nunavut, see our shipping page. Buying from a Canadian company, ensures you won't pay any brokerage fees or duty because we ship from inside Canada. Browse our hot tub products store and find out why thousands of hot tub owners find it convenient to have quality hot tub supplies delivered to their door! We pride ourselves in offering the best customer service in the industry and will always go the extra mile to satisfy our valued customers! We stock thousands of hot tub spa products and ship out most orders the same or next business day. We specialize in quality hot tub covers, spa chemicals, cover lifts, accessories, parts, pumps, heaters, packs, fragrances, filters, and hot tub gifts. We hope you enjoy our site. Take advantage of our informative hot tub articles. We cover a wide variety of topics including; how to maintain your chemicals, what to do if you have foam in your spa and how to troubleshoot various problems with your hot tub. Del Spa Eclipse Next Generation Dual Voltage 110 - 120 Volts / 220 - 240 Volts (Auto Voltage Sensing). Includes ozone tubing & check valve. Most recommended ozonator model. Mineral spa hydrotherapy at it's best! Hot water infused with minerals is relaxing, rejuvenating, and great for your skin. Reduces bromine/chlorine and other chemicals by up to 90%. Made from the highest grade polycarbonate, our premium plastic glasses look and feel like the real glass equivalent. Sold individually. Special Quantity Pricing! Contains 3 bottles of EcoOne Monthly treatment and 1 bottle of Filter Cleanser. Purify your spa water as it enters your hot tub, by attaching a 0.5 Micron, Activated Carbon Spa Pre-Filter to your garden hose. Your chemicals will work better and your water will be easier on your skin and hot tub parts. Filters up to 10,000 Gallons! Operates: 1 pump (2-speed), ozonator, spa light and optional circulation pump. The Covermate 1 by Leisure Concepts is the top selling cover lift in the hot tub industry. The exceptional design allows for effortless removal of your hot tub cover. Pre-filled with 200 grams of granular bromine sanitizer for spas and hot tubs. Buy 4 or more for $18.99 each. The Nature 2 Mineral Cartridge uses a patented mineral bed technology to destroy bacteria in your hot tub. This process dramatically improves your water quality and reduces the amount of chlorine needed in your spa. Not compatible with bromine. Buy 3 or more for $37.99 each! Pump Marvel is a submersible pump that does not use electricity.